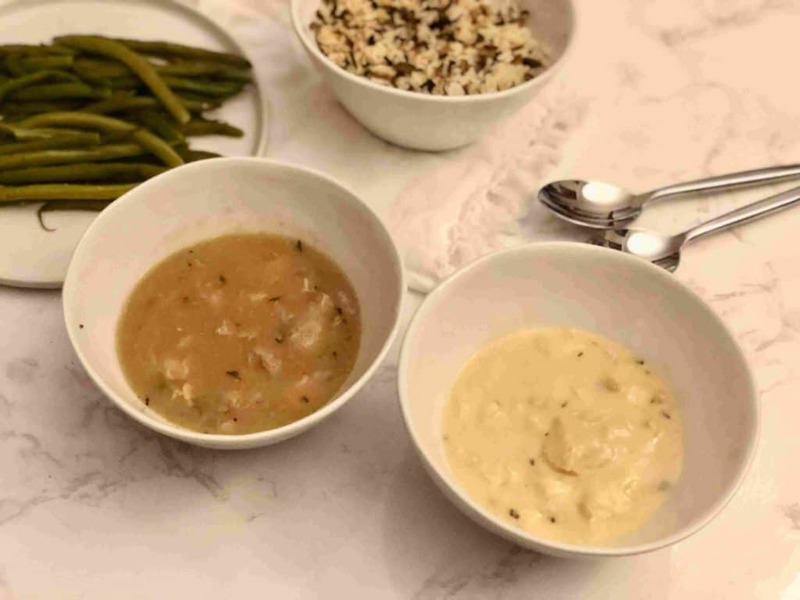 Babeth’s Feast is a frozen meal delivery service that is as about quality french inspired delicious food. With Babeth’s Feast, you don’t have to waste time cooking in order to eat well at home! 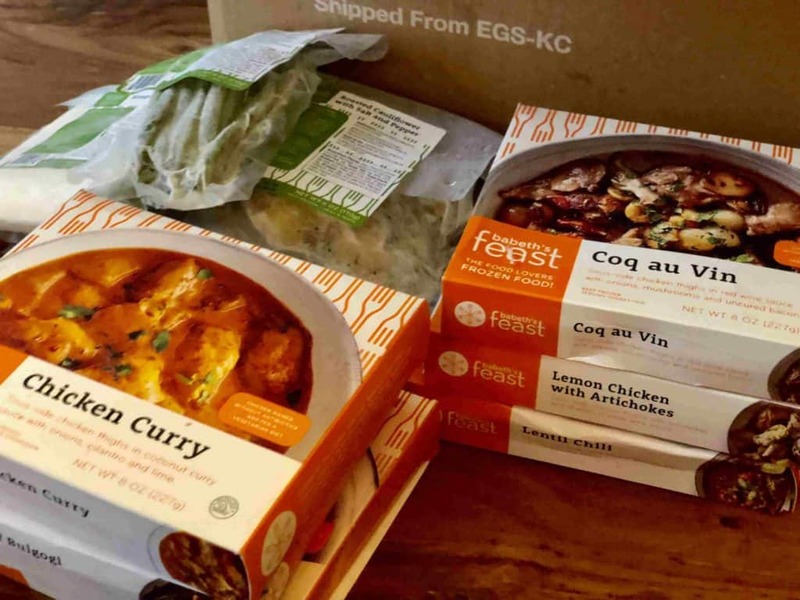 Babeth’s Feast is a frozen meal delivery service that specializes in beautiful French inspired food. With Babeth’s Feast, you can eat well at home without worrying about the cooking! The service allows you to have more time, freedom and ease with your at home dining. All the company’s creative meals are chef-designed and crafted in small batches, which ensures that your meals are of the highest quality. Babeth’s Feast is for people who want to eat well but find that life gets in their way! It is ideal for people who are too busy to cook, who find cooking uninspiring, or who just would rather be anywhere but the kitchen! Babeth’s Feast meals can come in handy at home or at work, with friends, family or for solo dining. A la carte – you can order what you need at any time that you want it. The choices for you to enjoy, include main courses, side dishes, appetizers, desserts and baked items. Subscription – involves a minimum of 6 paired meals (meaning main course plus a side dish), with the flexibility of weekly, fortnightly or monthly delivery. With a subscription you can also order more than the 6 paired meals if you wish. The Babeth’s Feast menu has an amazing variety of more than 100 menu items. The menu includes main courses of meat and seafood, quiches, pizzas and pastas, side dishes, appetizers, desserts and baked goods like special breads and pastries. You can also find some gluten-free and lactose-free options. Our team of experts always tries out each company we review which involves tasting a range of items off the menu. We were really pleased with what we received from Babeth’s Feast! We strongly believe that it is so much better than ordering takeout! The meals were elegant and delicious. They really did taste like they were freshly cooked, even though they arrive frozen! Babeth’s Feast ensures that all their meals are chef designed and crafted in small batches to ensure meals of the highest quality. Each meal is immediately frozen after cooking and then sent to you! The heating technique of the meals is quite unique and super simple, and is one of the main reasons that the food feels as if it was just cooked. You simply need to put the frozen meals in hot boiling water for a few minutes and then they are ready, and they taste delicious! At the end of the day, It really seems that the Babeth’s Feast culinary team is focused on creating delicious French-style dishes that will make you feel like you are eating at a lovely French restaurant. The portions of the main courses are not huge, but with the accompanying side dish the result is a satisfying meal. The Babeth’s Feast box is well organized. The box (that arrived with no significant labels) includes insulating material, and the contents include a large amount of dry-ice to keep them frozen. 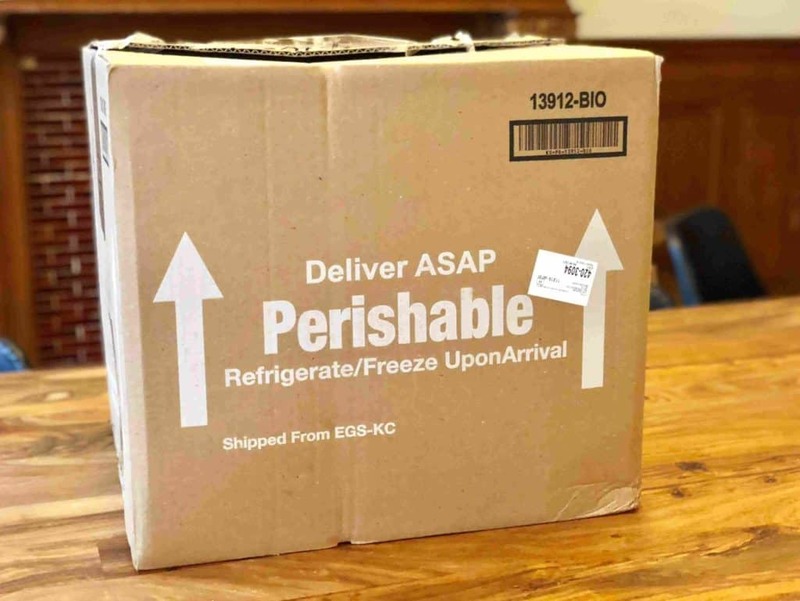 Our box was delivered to our office and was left outside of the freezer for a few hours after its arrival, and all the meals inside were still very much frozen when we opened it. Each meal inside the box is wrapped in its own soft carton box. This meal box includes a picture of the meal, the name of the meal, heating instructions and nutritional facts. This style of packaging is both informative and convenient. The meals of Babeth’s Feast really taste like they have been freshly cooked with beautiful ingredients. The company only uses all-natural farm-fresh produce and antibiotic-free proteins, so that they can create dishes as wholesome as they are tasty. The company uses a special French cooking method, called “Sous-Vide”- “under vacuum”, in which fresh and raw ingredients are vacuum-sealed in a pouch, then gently cooked in a water bath for a precise amount of time, at an exact temperature. The Sous-Vide method allows many of Babeth’s Feast recipes to be cooked one pouch at a time. Moreover, because of the vacuum seal, there is no need to add preservatives or a large amount of fat – which makes their meals so much healthier. 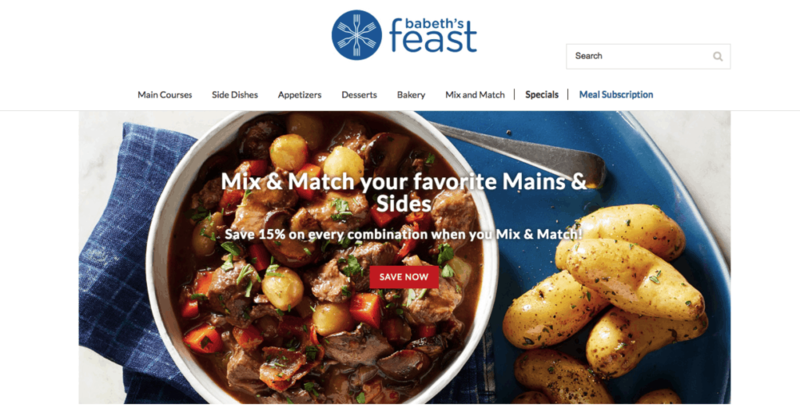 You can order your Babeth’s Feast box through their website. All their menu options are in the upper toolbar. There you can browse the different type of dishes and ordering options and then make your preferred selection. The menu is clear and detailed, and everything looks tempting and delicious. So where can I get a Babeth’s Feast box? Babeth’s Feast ships nationwide via FedEx or UPS ground. When making the order, you choose your preferred shipping day, and you will receive your delivery one to three days later. There are no shipping charges for subscriptions. For an A La Carte order above $50 there is a flat rate shipping rate of $15, excluding free shipping for the Upper East and Upper West Sides in Manhattan. You can also clearly see the shipping schedule and costs here. 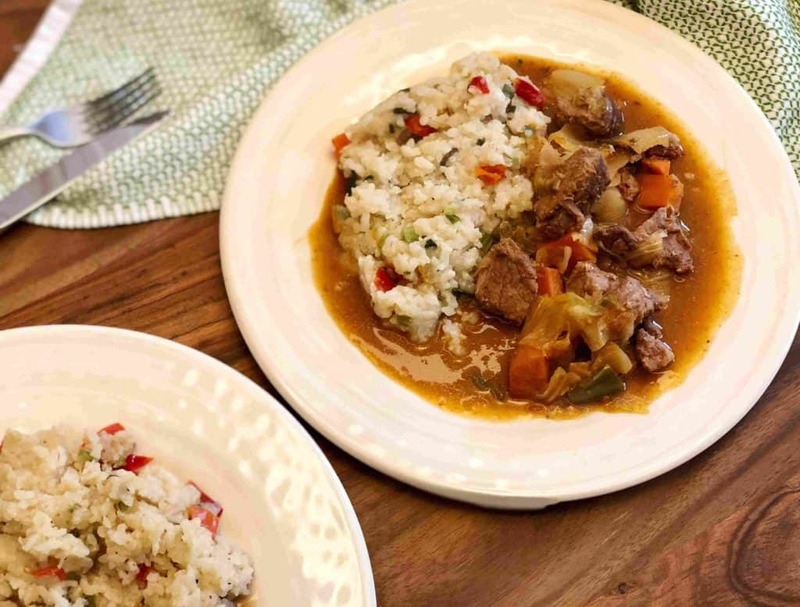 If you are looking for a meal delivery service with the best-quality ingredients and taste – Babeth’s Feast is definitely for you! The company is all about quality French-inspired and super delicious food, and it shows in every meal. With Babeth’s Feast, you don’t have to spend any time on cooking to eat enjoyable gourmet meals at home! Babeth’s Feast really covers all your food needs – with a menu that includes over 100 items, including main courses, side dishes, appetizers, desserts and even baked goods for you to enjoy.